If, like me, you’re planning to put your feet up and cut back on your exercise over Christmas, you’ll need to be mindful not to squander your training gains through overindulgence in food or alcohol. According to researchers at the Royal Society for Public Health (RSPH) on Wednesday, you would need to walk for 4 ½ hours to burn off the calories in a typical Christmas dinner. With the average person consuming about 6,000 calories on Christmas Day – nearly 3 times the recommended amount – it’s worth making a few dietary tweaks to avoid Christmas weight gain and undoing all your training gains. Don’t skip breakfast to save your calories for Christmas dinner. Not eating until the afternoon may lead to over-eating later on. Stick to a healthy breakfast with plenty of protein (such as eggs with smoked salmon or Greek yogurt with walnuts ), which will keep you fuller longer and curb the urge to overindulge later. It takes your body about 20 minutes to recognize that it’s getting full. If you eat too quickly, you’ll consume a lot more than you need (or really want). Focus on eating at a leisurely pace, putting down your fork between bites, and actually talking to your family and friends that are at the table with you. You’ll end up eating less while still being completely satisfied. Instead of accepting huge piles of food your mum/sister/spouse dishes out, offer to serve everyone at the table. That way you choose how much ends up on your plate (and score brownie points for being helpful). You can eat what you love, just not a lot of it. 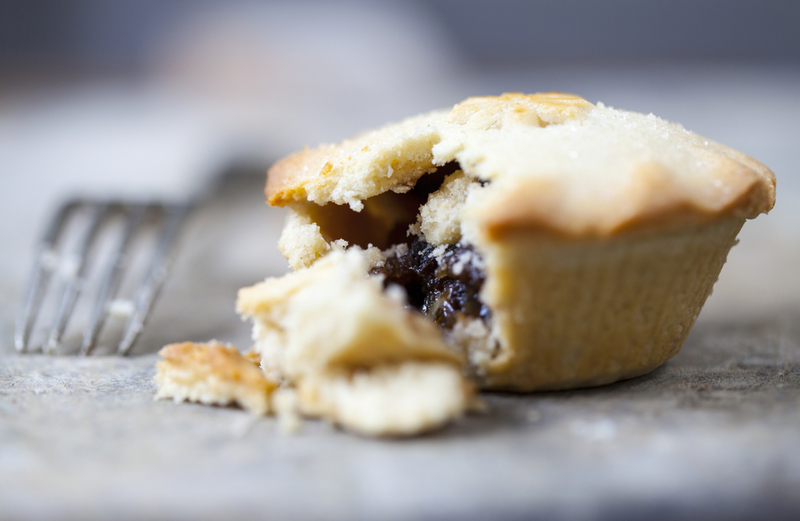 Fancy a mince pie? Go ahead and have one – but just one! The key is to stop eating when you feel satisfied; no one feels good when they have overeaten. And try and keep a mental tally of how much you eat and drink during the day. When you’re standing and chatting while eating, it’s difficult to keep tabs on how much you’re eating. If possible, sit down at a table (preferably far away from the buffet) and be mindful of what you are eating. To avoid racking up unnecessary calories, avoid the sugary cocktails and sweet liqueurs. A large Bailey’s has 180 kcals, a 250ml glass of mulled wine around 245 kcals (equivalent to a 44-minute walk) , a gin and tonic 180 kcals. Opt for wines with a lower alcohol content. A small glass of wine that has a 10 – 11% alcohol content saves you 60 calories compared with a wine in the 13 – 15% range. Bread, potatoes and pasta are great foods to fuel your workouts and recovery but you won’t need as many carbs over Christmas. Put half your normal portion size of starchy foods on your plate and double the amount of colourful vegetables. Not only will you reduce your calorie intake, you’ll get the benefit of all the extra vitamins and minerals from the veg. Swap salty crisps that encourage you to drink more, for unsalted nuts. Swap sweets for satsumas (your waistline will thank you for it) and load up with veg cruditees instead of tortilla chips. 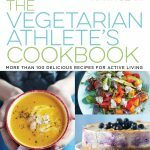 More than 100 delicious, easy-to-prepare vegetarian and vegan recipes for healthy breakfasts, main meals, desserts, sweet and savoury snacks and shakes.